Wake up with Marvel's famous webslinger guarding your morning drink! The Spider-Man 20 oz. 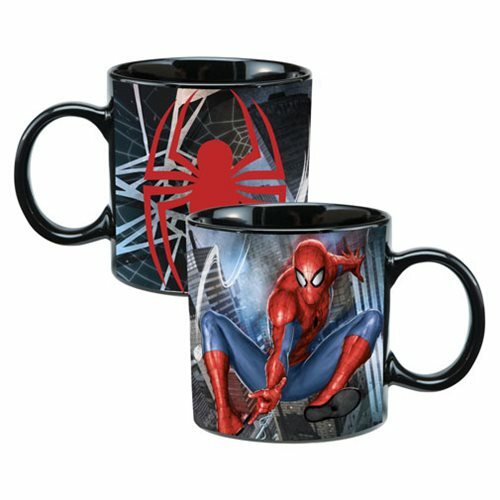 Ceramic Heat Reactive Mug features the Spider-Man emblem in black and red on one side and a stylized image of Spidey on the other when hot liquid is added to the cup, but when cool, only the logo appears amidst a dark spidery background. Hand wash only. Not dishwasher safe.